A challenge facing phonological theories is that many analyses result in fairly abstract solutions. The typical situation arises when “the same” element behaves differently, depending on the context. There are numerous examples; a few are given here. 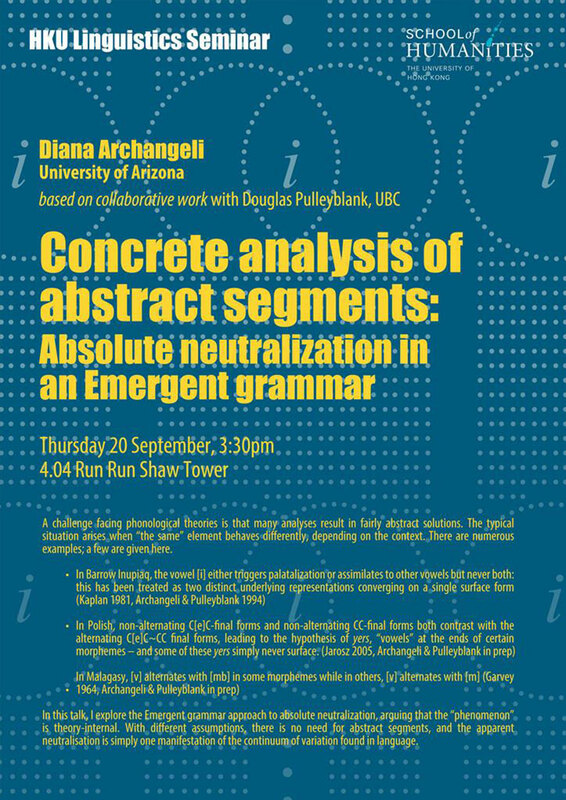 In this talk, I explore the Emergent grammar approach to absolute neutralization, arguing that the “phenomenon” is theory-internal. With different assumptions, there is no need for abstract segments, and the apparent neutralisation is simply one manifestation of the continuum of variation found in language.